Här kan ni titta och njuta de härliga bilder som togs vid dagens demostratio för att kräva omvärlden och den svenska regeringen. Heja Somaliland. Leva Somaliland. Idag den 28 April demostrerade över 500 människor från hela Sverige för att kräva Somailands erkännande. Somaliländerna samlades i Segeltorg i centrala Stockholm. Det var ganska fint väder, solen sken och det blåste lite. Somaliland flagga med grön, vit och rött färgen syntes väl över hela segeltorg idag. Förbipasserade människor undrade varför människorna här demosterar. Funktionärerna var på plats och delade ut information om Somaliland till de nyfikna människorna som samlades där och tittade på demonstraterna från Somaliland. Några represantanter från en rad olika organistioner höll tal vid demostrationen. En del av repranstanter sa att “Somaliland kommer aldrig att förenas med Somalia” ” Bland inte ihop Somaliland och Somalia” Denna demostration anordnades av Somaliland Unga Riksförbund i Sverige. TV journalisitena från både tv kanalerna var där och en svensk journalist. Demostranterna gick till riksdag med sina plakat “ERKÄNN SOMALILAND NU” Det var en härlig känsla för mig och för de andra somaliländerna som demostrerade idag, alla var glada att demostrera för deras lands skull och att kräva att omvärlden ska erkänna Somaliland. Det var en härlig stämning var bra, alla var glada, sjöng nationell sången och alla andra kamp sångar som påminner människorna om Somalilands historia. Här kan ni läsa rapporteten om den Kenyanska parlaments ledamöter som besökte i Somaliland. During the Kenya Parliament’s Christmas recess in December 2006, members of the Kenyan Parliament received invitations from the House of Representatives of the Republic of Somaliland to visit their country for interaction and dialogue with Parliamentary Representatives of the people of Somaliland. This was to serve as an opportunity for reconnecting the historical bonds that have been in existence between the two sister nations and their peoples and founding a new basis with which to cement and strengthen new relations. It was above all a friendly invitation aimed at scaling up the already existing cooperation from the current levels between the Executive arms of Government and expanding the vistas of cooperation of the two esteemed institutions. For the Kenyan Parliamentarians, it was a moment of propitious pause to reflect and evaluate the prevailing political security and economic environment within Somaliland in view of the rapidly changing complex Somalia conflict which at the time of the visit was on the verge of exploding into an all out war in Southern Somalia. It was also a unique opportunity for Parliamentarians of both countries to establish new land marks for the future in the sphere of Parliamentary diplomacy. Indeed, perhaps the missing link in all the important and pivotal regional relations amongst the peoples of IGAD, has been the absence of relations amongst Parliamentarians in the region. In response to the friendly invitation of the Parliament of the Republic of Somaliland, Kenyan Parliamentarians embarked on rigorous consultations across party lines so as to respond appropriately and positively. This led to the constitution of the team that eventually undertook the mission. However, due to prior party arrangements, only a team of four members of Parliament led by Hon. Paul Muite, M.P for Kabete constituency, who also chairs the Parliamentary Committee on Administration of Justice and Constitutional Affairs travelled to Hargeisa, in the Republic of Somaliland. Hon. Peter Oloo Aringo, M.P and Vice-Chairman of the Parliamentary Service Commission of the Parliament of the Republic of Kenya. In addition, the Parliamentary team was accompanied by two distinguished East African professionals, one a Professor of Law Prof. David Obyara Anyoti (Uganda), and the other an economist Mr. Abdirahman Ismail (Kenya) who were familiar with Somaliland and the greater horn of Africa Region. The two experts provided the delegation with excellent professional, technical, protocol and interpretation back up. Prior to departure for Hargeisa, the parliamentary team through leader Hon. Paul Muite, MP issued a press release which was dispatched to all newsrooms in Nairobi in order to inform the Kenya general public and the world at large of the mission and the objectives of the fact finding mission to the Republic of Somaliland. The delegation while in transit in Addis Ababa, Ethiopia sought audience with the officials of the Embassy of the Republic of Kenya who briefed the delegation on the state of things and the situation in the Horn of Africa region, where the Republic of Somaliland is situated. It also acquired the national flags and H. E. the President’s portrait to carry along with the team to the Republic of Somaliland. To courteously respond to the friendly invitation by the House of Representatives of the Somaliland Parliament as an affirmative gesture of goodwill and to engage and interact with Somaliland M.P`s as well as share experiences and expand and deepen the vistas of cooperation between them. To serve as a fact finding mission which would lead to collection, collation, and analysis and evaluation of the factual information on the situation in the Republic of Somaliland for use by various policy audiences in Kenya in guiding informed decision making about Somaliland’s quest for international recognition. To chart the course for the Kenyan Parliament to embark on the path of Parliamentary diplomacy which in essence should complement, assist and help guide the executive arm of Government in the adoption of a foreign policy that would be based on legitimate national strategic interests, be they security, defence, economic, commercial or other in conformity with national and international law. It is important to mention and highlight the fact that the mission took place just a few months after the visit to Kenya and other East and Central African states by the elected President of the Republic of Somaliland H.E Dahir Rayale Kahin who met and held discussions with H.E President Mwai Kibaki, and other leaders in the region. Throughout the visit, the key message that emanated from the many audiences and multi-sector consultations was a strong case for international recognition of the Republic of Somaliland, enriched by vivid recounts of the Somaliland history. The Republic of Somaliland leadership narrated to the parliamentary delegation, the state of the country both under the British protectorate, the period of independence from British rule and the subsequent decision to voluntarily associate and enjoin with the South Somalia by the country’s patriots who had envisaged that such an action would precipitate economic and social development in an atmosphere of good political and democratic governance for the entire Somali populace. From the outset, this union was flawed due to the outright bias and lopsided sharing of the national resources within the union. The government grossly favoured the South of Somalia which had obtained its independence from its Italian colony on 1st July 1960, nearly a week after the independence of the Republic of Somaliland. The fall out within the Union in the end, resulted in extreme brutality being meted out on a continuous basis against the Somaliland people by the regime of dictator Siad Barre, who was of Southern Somali origin. The destruction and genocide mounted by the politicals and military against Somalilanders fuelled popular uprisings by the people of Somaliland and subsequently led to Somaliland’s reverting to its original June 26, 1960 independent status. The reassertion of Somaliland’s independent status has been achieved through complex but all inclusive representative community/clan conferences which approved the decision to withdraw from the union, re-establish Somaliland’s independence status and in addition reverted to the traditional conflict resolution mechanisms which led to the pacification of the Republic of Somaliland and its society. The all community/clan conference hence resolved to reassert the independent status of the nation within its former boundaries as established in British Somaliland. The Anglo-Ethiopian Treaty of 1897. From the shores of the Gulf of Aden, the Republic of Somaliland extends southwards to the border with Ethiopia, bounded by Djibouti to the West and Somalia (Puntland) to the East. Within these borders, the Republic of Somaliland’s territory holds a population of a bout 4million people and covers an area of 137,600 square kilometres, with a long sea coast in the North. The people of the Republic of Somaliland today exist peacefully, striving to further develop their country to its full potential. This has led to the immense development and reconstruction of people’s lives and institutions without much external assistance. Home-grown initiatives have taken centre stage and the people in this country are overwhelmingly in consensus in their resolve to seek international recognition and reassert their due place in the international community and the community of nations. In terms of governance and administration, Somaliland is a nascent and flourishing democracy which has managed on its own to establish all functioning institutions of a modern state. It has perfected the use of a hybrid system of political governance with a unique combination of traditional and modern conventional system of governance. This has led to the establishment of an impressive bicameral Parliament with two Houses of Parliament. i.e. The House of Elders, commonly known as the Guurti and which serves as a Senate. The House of Representatives is essentially like the House of Commons in Britain or the House of Peoples Representatives in India. Somaliland has also established an independent National Electoral Commission and a Human Rights Commission whose membership is drawn from diverse stakeholders, and approved by Parliament. In terms of security, the Republic of Somaliland has a disciplined security force which includes the Police force, the Military and Custodial corps. It has a largely free judiciary and an impressively efficient financial sector. In addition, there exists a large presence of aid agencies, humanitarian organizations and international NGO`s e.t.c. a majority of whose core staff base is incidentally Kenyan. The major questions on the minds of the Somaliland people are, what more/ else are they to do to enhance their international stature? And, for how long shall they have to wait for this recognition? Since the adoption of the National Charter in 1993 the Republic of Somaliland has practised a hybrid system of governance that combines a Somali beel community (clan-based) system of political representation with modern Western-style institutions of government. The main characteristic of the beel is to ensure that all communities/clans are represented, with the primary purpose of maintaining peace and security. The new constitution, which lays down the foundation of the new system was finalized and approved in a nation-wide referendum on 31 May 2001. Parliament passed legislation allowing the formation of political parties in August 2001, and local elections took place in December 2002, from which out of a pack of six, three official political parties emerged. In April 2003 these parties contested presidential elections, a closely run race from which the incumbent, Daahir Rayaale Kahin, emerged as winner. House of Representatives or parliamentary elections were held on 29 September 2005 and were contested by the three official parties: Kulmiye (Solidarity Party), UCID (the Party of Justice and Welfare) and UDUB (The Union of Democrats). The opposition parties – Kulmiye and UCID control the House of Representatives and its leadership. The Kenyan Parliamentary delegation received a tumultuous reception whose impressive organization can only be described as excellent in diplomatic protocol, decorum and organization. In fact, the local media heralded this visit by warmly headlining the course of the entire visit. One major Newspaper actually carried the following on its front-page, ‘Kenyan Parliamentary Delegation Given a Heroic welcome to Somaliland’. To receive the delegation at the Egal International Airport in Hargeisa, were key personalities of the Republic of Somaliland, political, state and administration leadership led by the Rt. Hon. Abdirahman Mohamed Abdillahi, M. P., and Speaker of the Somaliland House of Representatives, Minister in charge of Internal Security, the Chairmen of various parliamentary committees, Parliamentarians, High ranking Public Officials, leaders and representatives of all the three official political parties, and a large group of traditional women dancers clad in Somaliland attire who waved the national flags of Kenya and Somaliland and held aloft the portraits of Excellencies Mwai Kibaki of Kenya and Dahir Rayale Kahin of Somaliland. The entire reception was very well organized and managed. Evidently, the state of things in Somaliland are a complete contrast to the war ravaged, mortar and battle wagon filled imagery that has for along time been associated with Somalia. In terms of media coverage, a battery of both international and local journalists was at hand to cover the entire visit, a fact that serves to highlight the prevailing peace and order situation within the Republic of Somaliland. In 2004, a select committee from the House of Commons of the United Kingdom gave a very favourable report of the situation in Somaliland when they visited the country. 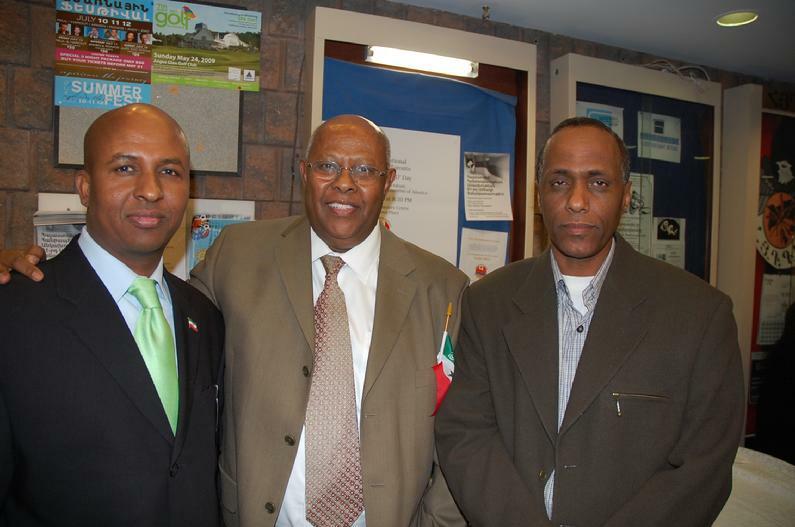 The Kenyan team’s visit was more symbolic since this was the first team of African legislators to visit Somaliland. The visible enthusiasm of the Somaliland people to the visit by Kenya Parliamentarians conveyed a strong message of their hope in the Kenyan people for having showed solidarity with them at this most critical time in their history and in appreciation for their struggles, through and by which on their own account they have achieved impressive accomplishments in conflict resolution, peacemaking, social and economic reconstruction. It is important to note here that Somaliland has been running its affairs with minimal external support if any, a fact which has earned it international acclaim. It is therefore not in doubt, that the mission to this nation was seen as a momentous and historic occasion which would open up for Kenya and the Republic of Somaliland mutually beneficial new policy perspectives within which the troubled Horn of Africa complex situation can be realistically addressed and moulded for contemporary development and prosperity. The Kenyan delegation benefited immensely from studying and reviewing a wide literature of; transcripts, representations, articles and other relevant reference documents and materials on Somaliland which included materials on its history in both pre-and post independent times. The fall of the Siad Barre military regime, brought to an end whole decades of economic war that it meted against Somaliland. The economic strangulation effected via the repressive restrictions and controls of the military regime fell apart when the Siad Barre regime was defeated by the Somali National Movement and the people of Somaliland. The return of peace to Somaliland permitted and made possible the re-activation of trade and multiple economic activities in the country. Private investors particularly of Somaliland origin have generated a multiplicity of activities since the Republic’s liberation in 1991. Construction activity is everywhere evident as entire towns which were razed to the ground in aerial and artillery bombardment during the war of liberation get rebuilt. Telecommunications, air transportation, financial and other services are getting better established in the country. Somaliland’s private sector is playing its critical role as the motor and drive centre point for economic reconstruction. Coal exploitation, organized mining of precious stones, oil exploration, cement production, finance and insurance companies, e-commerce, instituting economic free zones, organizing transit trade via the fabulous port, and, airport facilities in Berbera, the development and systematization of the Berbera Corridor, tourism, e.t.c. calls for larger investments which will doubtless come with international recognition. Given the rich national resource base that it holds in its territory , and with international recognition with foreign direct investment Somaliland can easily become the jewel in Africa’s crown and Emirates. It is evident that, the Republic of Somaliland will in the foreseeable future remain in its current state of being a consumer nation, that will continue to import all of its essential commodities including manufactured, industrial, as well as agricultural produce. The Kenyan Manufacturers stand to immensely benefit from enhanced trading relationships. Similarly, the agricultural sector, particularly horticulture, tea, and miraa growers given the high value of their products stand to gain the opportunity to share if not capture this market for their produce. The Kenyan delegation visited a number of places while in the Republic of Somaliland in the first place; the mass graves at Malko-Durduro in Hargeisa where over 50,000 – 60,000 genocide victims of the brutal dictatorship of Major General Mohamed Siad Barre were buried in shallow mass graves after massacres on site and within the environs of Hargeisa. This tour was facilitated and conducted by the Republic of Somaliland ‘War Crimes Investigations Commission’, which is charged with the responsibility of investigating human rights abuses, genocide and crimes against humanity. With the help of the international community, the commission is collecting forensic evidence, conducting DNA tests and compiling testimonies to present to the International Criminal Court to open up cases on war crimes. The Commission is seeking collaborative relationships with the United Nations Commission on Human Rights, Amnesty International and other Human Rights watch-dog organizations for the purpose of bringing the perpetrators of the genocide and other gross human rights violations to book. The Kenyan delegation witnessed horrific scenes of hundreds of skeletons bound together by cloth, ropes and wire which were recently washed up by the incessant floods which had occurred around the former headquarters of the Somalia Army in Hargeisa. This brutality led to the subsequent uprising of the people and the formation of the Somali National Movement (SNM) which waged an armed struggle. Reports by various international human rights organizations such as ‘Africa Watch’ indicate that ‘the number killed by government forces, shot at point blank range, or killed as a result of aerial bombardments and artillery shelling is in the vicinity of 50,000 to 60,000.; So far, a total of 225 mass graves have been mapped out across Somaliland with 200 in Hargeisa alone, 12 in Berbera, 8 in Burao, 2 in Gebilei and Erigavo each, and 1 in Arabsio. In addition, about 200,000 people, mostly women, children and the elderly died either on the way to, or at the refuge camps in Ethiopia due to thirst, exposure to inclement weather, hunger and disease. Ethnic cleansing was particularly aimed at the Isaq community. The Kenyan delegation was shown among others a mass grave that was littered with children’s skeletons. It was said that the Somalia military bled the children to death in an attempt to forcibly obtain the blood required for transfusion for their wounded soldiers and military personnel. Preliminary tests conducted by international forensic experts in Hargeisa in 1997 after excavations of only three areas indicate that individuals died of gross violence and brutalities after which they were haphazardly buried. The evidence of gross human rights violations and genocide is all evident. The Kenyan delegation expressed its outrage and shock at the grisly chilling recounts of the elaborately planned and executed massacres by the Siad Barre government against the innocent civilians of Somaliland. It further found it completely unacceptable that the perpetrators of these brutal war crimes were living largely in the Diaspora, either, enjoying the welfare status of the developed economies, or currently being part of the Somali Federal Transitional Government. It is indeed abhorrent that these people are even aspiring for or already holding political leadership in the Transitional Federal Government of Somalia, much to the utter dismay of the families of the victims of the massacres and the genocide in the Republic of Somaliland. Similarly, the Kenya team sympathised with the War Crimes Commission on the fact that its efforts to place their human rights case firmly on the global agenda had been constrained by the absence of international recognition of the Republic of Somaliland. It therefore endeavoured to aggressively seek to put the facts of the fact finding mission into a policy brief that would afford the intended policy audiences a nexus between the compassionate representation of the People of Somaliland and the urgent and justified need for the international community to act. This would be beneficial since the critical analysis, actualization and profiling of the situation in the Republic of Somaliland by the Kenyan mission should ideally necessitate movement towards decisive progress and coherence in policy approaches by the various policy audiences, notably between the executive and legislative arms of government in pursuing Kenya’s legitimate strategic interests in the Horn of Africa region. 1. The University of Hargeisa – This is one of the courageous and valid autochthonous efforts at providing higher education to the people of the Republic of Somaliland. There are a total of five universities in Somaliland. 2. The Berbera Sea Port and Airport are strategically located on the shores of the Red sea. This port is the deepest harbour in Africa. It is currently in use not only by the Republic of Somaliland, but Ethiopia, whose border is not far from this great port. 3. The Military Airbase at Berbera has the longest runway in Africa and is in use for passenger and cargo flights. The Veterinary Institute managed by Terra Nova and supported by the AU/IBAR with financing from EU. Most of the staff in these centres are young Kenyan professionals with whom the delegation had useful interaction and who strongly lauded the mission urging for Kenya`s leadership in recognizing Somaliland as a sovereign state which they said is long over due. The fact finding mission met with the following key personalities in the Somaliland administration. Cabinet Ministers including Ministers of Finance, Foreign Affairs, Internal Security, Planning, Family Affairs as well as the Minister responsible for Parliament and Government Relations. Speaker of the House of Representatives, flanked by all the chairmen of Parliamentary Committees in both houses. 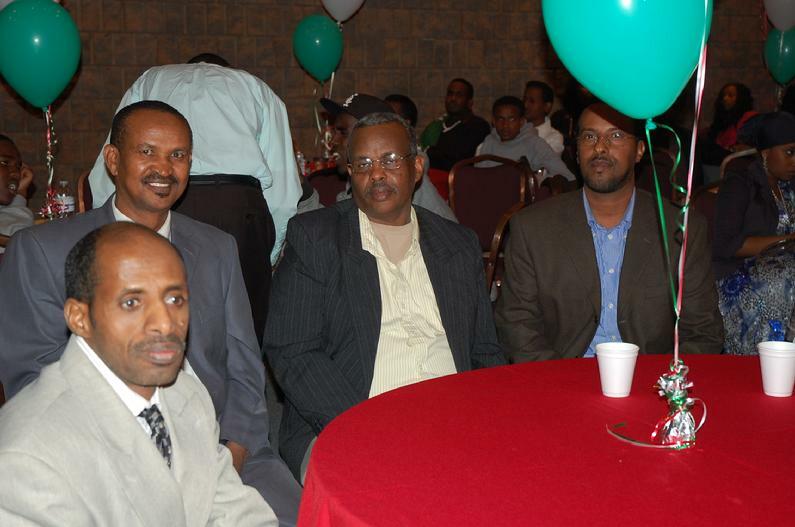 Top leadership of the three political parties namely, the ruling UDUB Party, UCID Party, and the Kulmiye Party. Representatives of civil society organisations. The Governor of Berbera region, the Mayor of Berbera city and the management of Berbera port facilities. The Kenyan fact finding mission also had the honour and rare privilege of addressing a joint session of both Houses and an equally useful interactive exchange with the honourable members of the Bicameral Parliament which was chaired by the chairman of the Senate popularly known as the Guurti, H.E Rt.Hon. Suleiman Mahmud Adam. To complement the working meetings and sessions, there were interspaced a series of state dinners and luncheons in honour of the delegation by various leaders of the Republic of Somaliland which provided an additional opportunity for interaction between the Kenyan Parliamentary team and their hosts. The Republic of Somaliland’s state and political leadership sought to press home the salient and main facts that have been neglected in the confusion that has been characterizing global image of the greater Horn of Africa as an area or zone of general armed conflagration, war and mayhem. The leadership were at pains to demonstrate how peace has prevailed in Somaliland over the past 15 years without the due recognition of its sovereignty that the Republic of Somaliland deserves. While the African Union (AU) has made some efforts to appreciate the full implications of an independent Somaliland, it has however allowed for the systematic misrepresentation and overshadowing of Somaliland’s quest for international recognition by the Transitional Federal Government of Somalia. For instance, while the AU`s fact finding mission to the Republic of Somaliland was very encouraging, it was however saddening and most unjustified to note that there lacked reasonably extensive discussion on the said missions report. Furthermore, it defeats all logic that representatives from the Transitional Federal Government had been allowed to silence active debate on the subject and confuse the subject with support for the TFG over the now deposed Islamic Courts Union. This fact is indeed a miscarriage of justice. This inspired Somaliland’s President to use the analogy of two football teams that are separated from each other by the referee, to relate to the situation in the greater horn of Africa. Obviously in such a case, there would be no game, no scores but just an everlasting stand-off. President Kahin further explained that the IGAD and AU needed to give equal audience to the two parties in the dispute. On this note, the President felt that maintaining communication with only the leadership of the TFG, while alienating the leadership of Somaliland would be counterproductive to the attainment of lasting peace in the entire region. In addition, the TFG being a party to the dispute needed to be ideally moved out of the bench since a defendant can not at the same time be a member to the sitting bench in a court of law. On this note, the AU needs to constitute a neutral and un-biased group of member states to listen to the representations and arguments of the parties to the dispute, and resolve this matter for once based on fair and sound judgement in accordance with international law. On the basis and account of the above mentioned findings and facts on the Republic of Somaliland, the delegation from Kenya prepared the following communiqué. The current boundaries of the Republic of Somaliland are exactly the same as those of the original British Somaliland Protectorate and of the independent country recognized by the international community as of 26th June 1960, and therefore the current Republic of Somaliland has a solid, sound and unquestionable legal basis for recognition under international law. The Republic of Somaliland is merely reasserting and reverting to its original boundary status and this is in no way in contravention or conflict with the Constitutive Act of the African Union regarding the inviolability and respect for borders existing as at independence. The AU (formerly OAU) upholding the principles of uti posseditis needs to support Somaliland’s restoration of its sovereignty within the boundaries of the former British Protectorate as legal claim for recognition as constituted within the AU`s constitutive Acts. Clearly, this is not an act of secession by the Somaliland Republic. As elaborately explained, it is merely following a well established precedent of acknowledging unsuccessful mergers hence upholding the founding principles of utti posseditis. From a legal perspective, the merger of Somaliland and Somalia was a de facto, not a de jure union as not a single authenticated document confirming the joint act of formation of the union was entered into and ratified. The Republic of Somaliland has a strong moral, political and legal claim to recognition of statehood under the internationally recognized right to self determination; and the right to collective protection from human rights abuse or denial. This right is the first article of the founding treaties of the United Nations, the International Covenants on Civil and Political Rights and Economic, Social and Cultural Rights, and the UN charter itself. Article 20 (1) of the African Charter on human and Peoples rights likewise asserts that ‘all peoples shall have the unquestionable and inalienable right to self determination’. This principle of self determination has been successfully exercised in the past by several countries notably, Bangladesh (1971), Eritrea (1993), East Timor (1999) and numerous former republics of the former Yugoslavia and USSR. 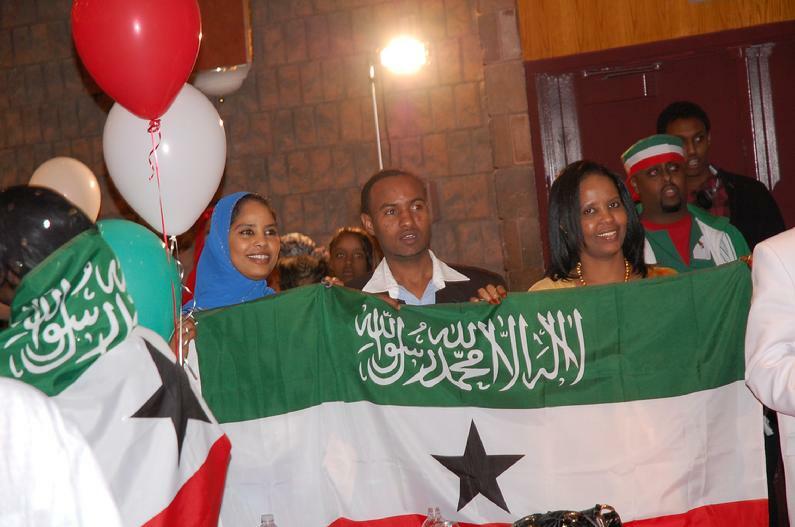 The exercise of the right in the case of the Republic of Somaliland is the more valid and urgent as there exists clear evidence that in the period of the existence of the union, the people of Somaliland suffered documented gross human rights violations, severe enough to justify their exercise of the legal right to self determination by withdrawing from the failed union. Finally, there is no doubt whatsoever that Somaliland’s independence is an expression of the will of the vast majority of her people. People who have expressed this desire in various ways including the very bitter and armed struggle against the regime of Mohamed Siad Barre, various all inclusive community/clan conferences in 1991 in which the decision to withdraw from the failed union was made, and the subsequent popular referendum in 2001 which saw an overwhelming majority of the people of Somaliland (97% of the one million votes cast supported its reincarnation and in which the first Article affirms Somaliland’s sovereignty and independence). This message was further re-confirmed by the AU`s fact finding mission to Somaliland as stated in its report which quotes, ‘The message was the same at every place, ‘the irreversible independence of Somaliland’; no return to the union with Somalia; the quest for recognition from the AU and the international community’’. Somalia waged not only two bloody wars for the former N.F.D in Kenya, and, the Ogaden territory in Ethiopia, but also used all its military might to attempt to force the citizens of the Republic of Somaliland into submission in pursuit of its age old, but misplaced dream of a greater Somalia. Clinging to its claim over the Republic of Somaliland which is one of the five so called ‘five Somalis’, clearly demonstrates that it still harbours its ill intentions against its neighbours including Kenya and Ethiopia. Nothing short of acknowledging that the ill fated union with Somaliland is dead; and hence the urgent need to recognize it as a sovereign neighbour state will be assurance enough to Somalia’s neighbours. The danger posed by irredentist forces to the stability of the Horn of Africa region cannot be over emphasized. Combined with international terrorism, it is bound not only to set the region aflame, but generate further destruction, genocides and holocausts in this pivotal African zone. Somaliland’s sovereign independence will without doubt effectively help to defuse the age old Somali Irredentism that endangers both Kenya and Ethiopia. Hence Kenya should act in its national interests irrespective of any existing diplomatic game plans in the region. If Kenya were to promote her quest for sovereign recognition of the Republic of Somaliland, it would greatly stand to benefit. The reality of the current circumstances makes it even more urgent for Kenya to consider leading the way in the international recognition of the Republic of Somaliland. Kenya should also use its influence as chair of IGAD, and its immense investments in the establishment of the TFG to pressure the Somalia factions, principally the TFG to renounce the notion of Greater Somalia and Somali expansionism, through recognition of the Republic of Somaliland. The historical truth is that Somali peoples, nations and communities have not in the past lived within any one constituted state formation or polity, but in various ecological clusters that have loosely related to one another in some way or other. As an interim measure, Kenya should upgrade and scale up its liaison office in the Republic of Somaliland by for instance deploying senior staff such as economic and commercial counsellors. This is Kenya’s opportunity to give due leadership in the IGAD region and Africa and provide the long sought for African guidance in the resolution of the complex crises and conflicts that have buffeted our region on end. 1. Hon. Paul K. Muite, M.P. THAT, this House urges the government to recognize the Republic of Somaliland as an independent and sovereign state and to initiate, support and promote the admission of the Republic of Somaliland to the membership of the Inter-Governmental Authority on Development (IGAD), African Union (AU) and the United Nations (UN) in order to achieve stability and lasting peace in the north-east region of Africa.